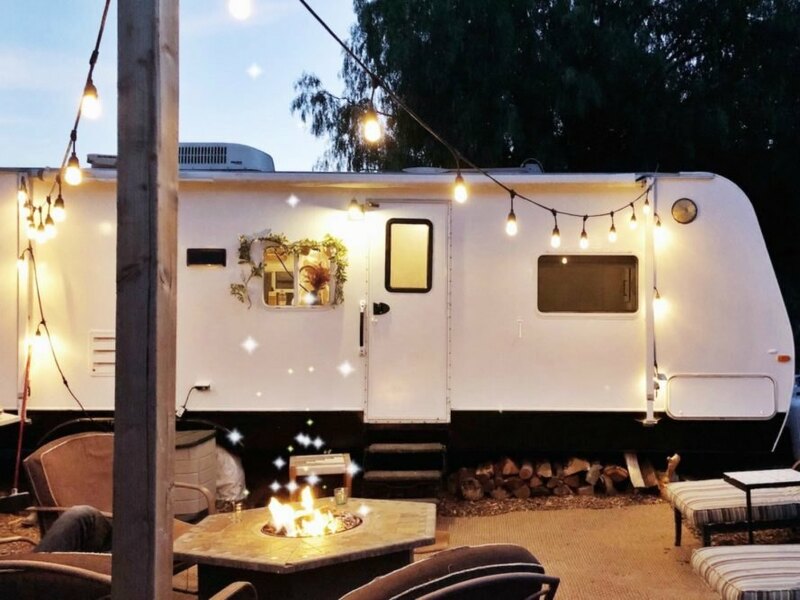 Renovating an old RV is no easy feat, but ambitious couples are taking on the challenge with some seriously incredible results. 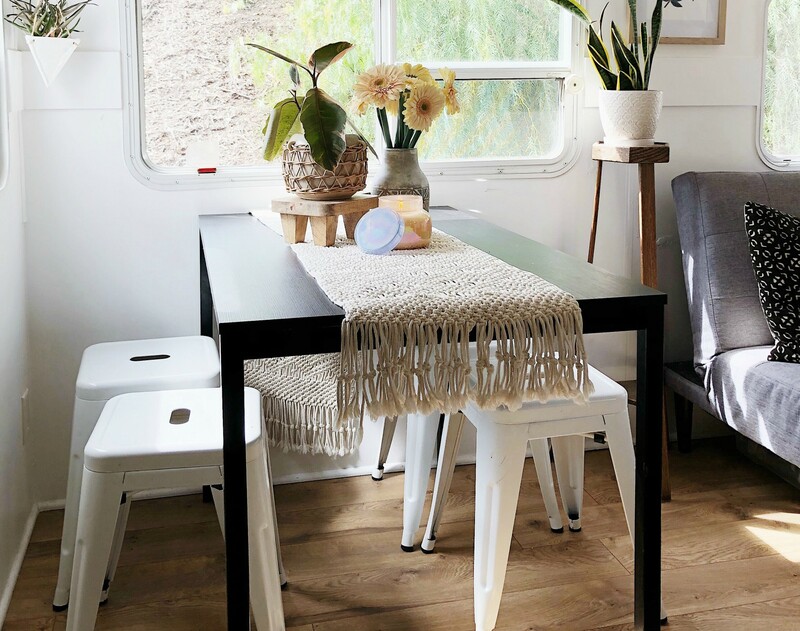 When sky-high rental prices in California forced Ashley and Dino Petrone to look for alternative housing options for their family, they decided to convert a 2003 Cougar Keystone camper into one very sophisticated living space. 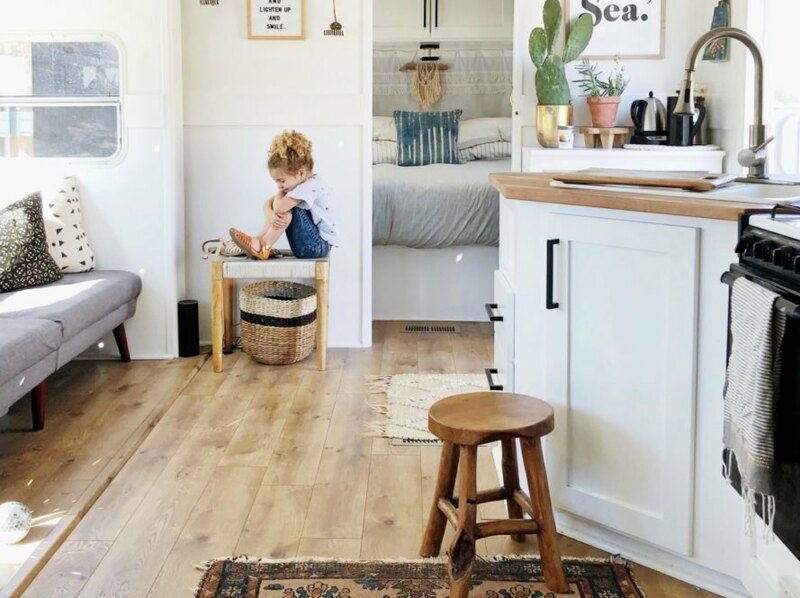 Although it’s a mere 180 square feet, their new home is spacious enough for their large family and includes a beautiful interior design. 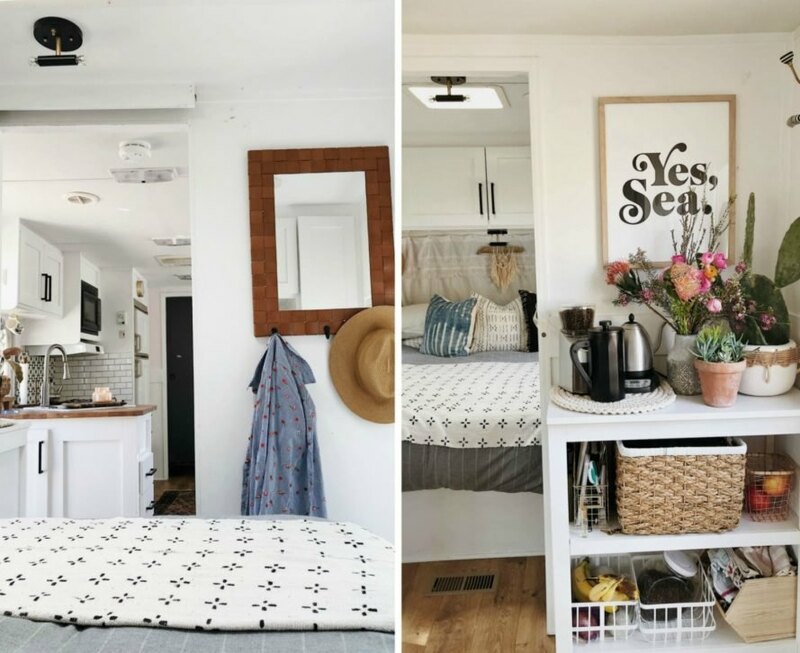 Even more surprising, the family spent just $3,000 to convert the RV into the tiny home of their dreams. The Petrones sold their five-bedroom house with hopes of building their dream home on land they purchased in Ventura, California. However, they needed a place to live while they built it. Soaring rental prices in California forced the couple to look for an alternative living situation; they solved this problem by purchasing a dilapidated Keystone camper for $8,000 and spending just $3,000 to renovate it, proving once again that brilliant home design doesn’t have to be expensive. After purchasing the camper, they gutted the entire rundown interior, saving absolutely nothing. “The state of the RV was old and blue and dirty. The curtains were horrible and huge and the whole feeling just felt dark,” explained Ashley. They kicked off the renovation by ripping out the camper’s carpet and replacing it with beautiful pale timber flooring. They took down the original wallpaper in the camper and replaced with it chic wooden trim. They also replaced all of the old kitchen cabinetry, as well as the built-in furniture, which took up too much space. An Ikea desktop was custom cut for the new kitchen in order to make the space as efficient as possible. Once the camper’s shell had been renovated, the family began to add custom furniture and storage solutions that would help avoid clutter. The living space is light and airy, with an abundance of natural light. The family’s sleeping quarters take up the opposite sides of the camper, with the parents in the master bedroom at one end and the kids in triple bunk beds at the opposite end. Throughout the space, the decoration is minimal, but sophisticated – the Petrones found most of the items at garage sales or discount stores. 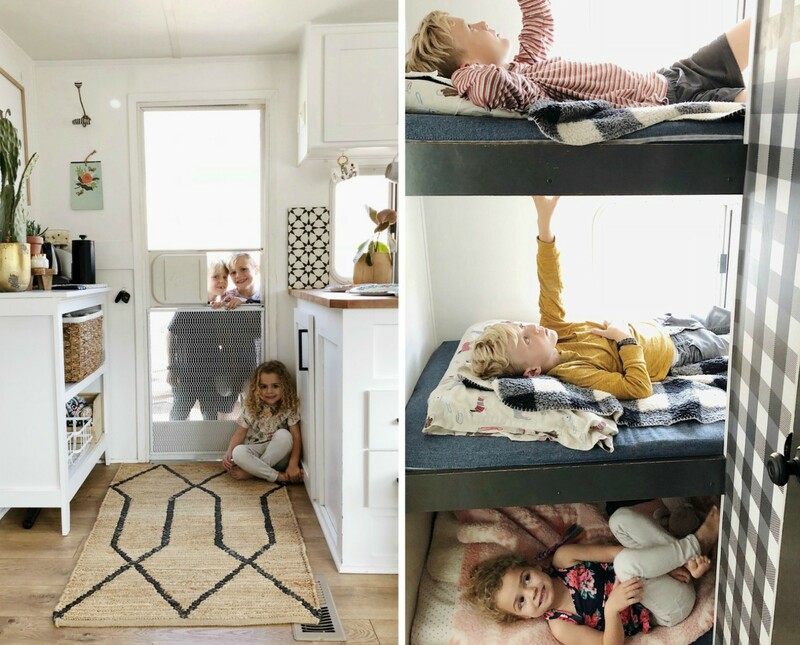 The family posts updates on their fabulous RV conversion on their website, Arrows and Bow, as well as on their Instagram page. 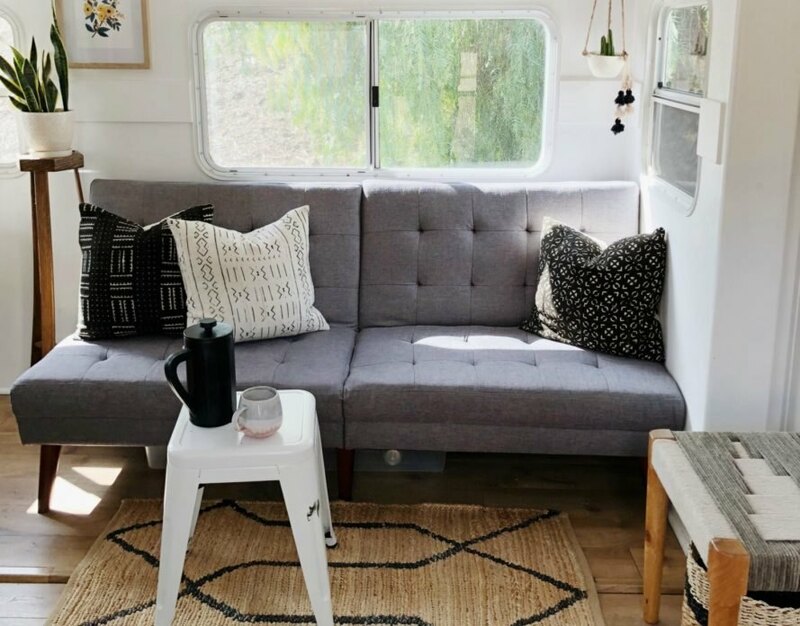 Renovating an old RV is no easy feat, but more and more, creatives are taking on the challenge and the results are incredible. 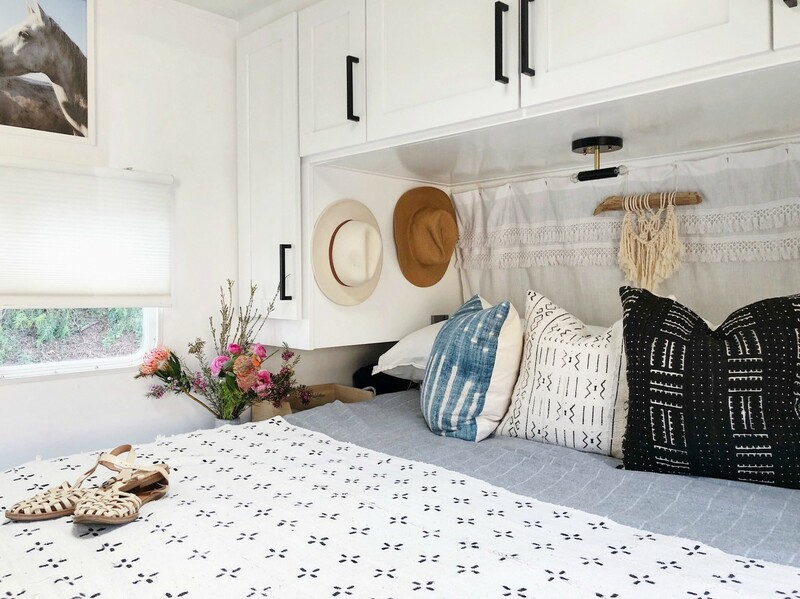 Ashley and Dino Petrone have converted a 2003 Cougar Keystone camper into one very sophisticated living space that, although a mere 180 square feet, is spacious enough for their family of five. 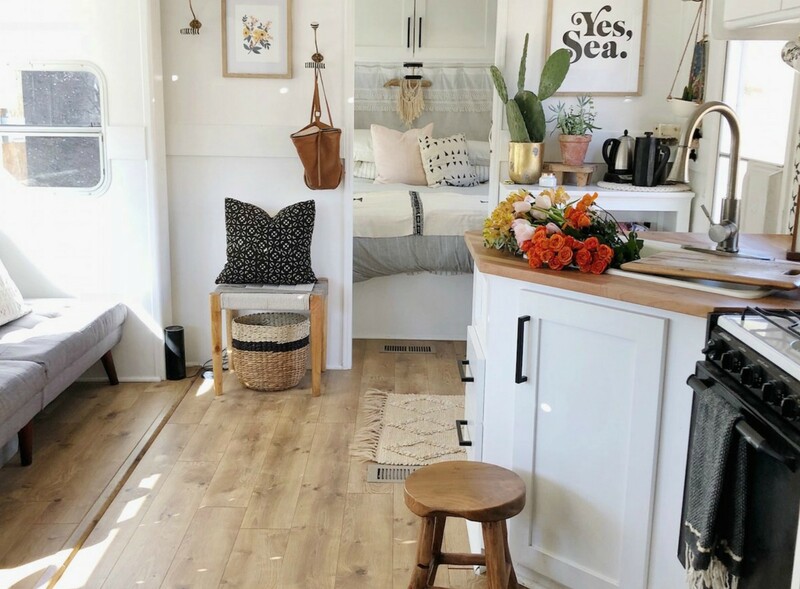 What's even more surprising is that the family spent just $11,000 to create the tiny home of their dreams. The couple completely renovated the interior. Their newly-renovated RV sits on their land while they build their home. The living space is incredibly welcoming. Ashley and Dino Petrone sold their five-bedroom house with hopes of building their dream home on land they purchased in Ventura, California. However, while they built their new home they needed a place to house the family. Sky high rental prices in California forced the couple to look for an alternative living situation, which proved to be just up their alley. 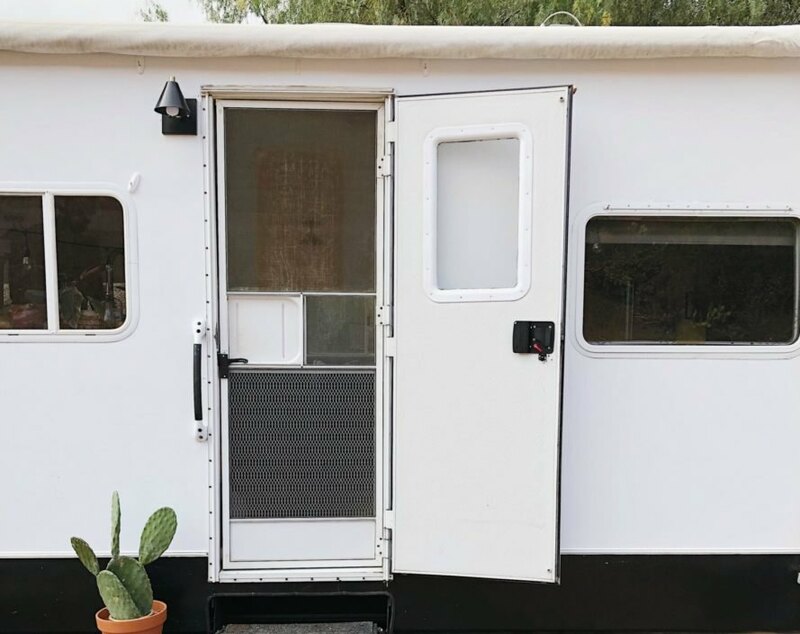 They bought a dilapidated Keystone camper for $8,000 and spent just $3,000 to renovate it, proving once again that brilliant home design doesn't have to be expensive. In the kitchen, all of the old cabinetry was replaced, along with the built-in furniture that took up too much space. First, they began by ripping out the camper's carpet and replacing it with beautiful pale timber flooring. They took down the original wallpaper in the camper and replaced with it chic wooden trim. The family's sleeping quarters take up the opposite sides of the camper, with the parents in the master bedroom at one end and the kids in triple bunk beds at the opposite end. Throughout the space, the decoration is minimal, but sophisticated - the Petrones found most of the items at garage sales or discount stores. The kids sleep on triple decker bunk beds. Once the camper's shell had been renovated, the family began to add custom furniture and storage solutions that would help avoid clutter. 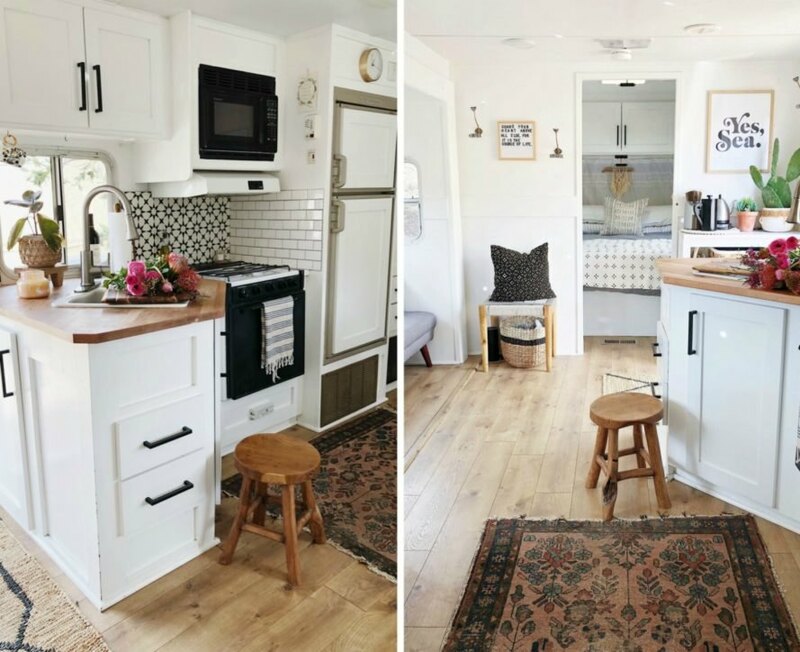 The couple spent $11,000 on the camper and $3,000 to renovate it.